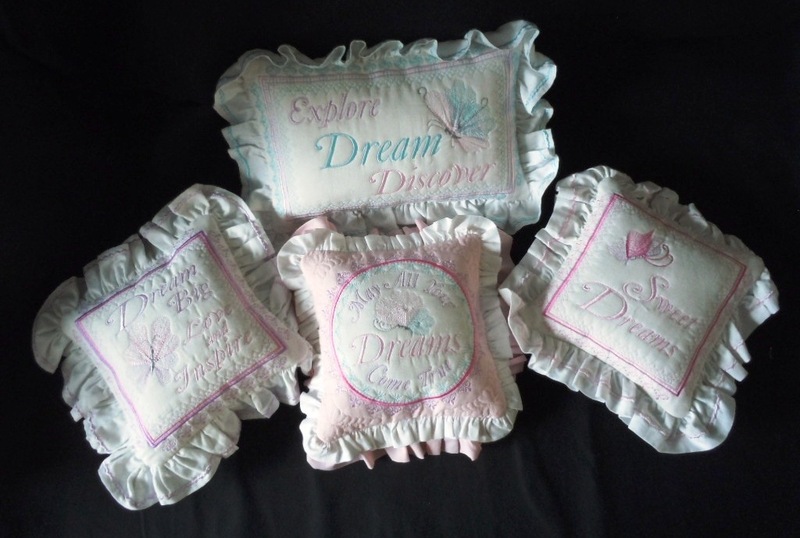 Kim these pillows are beautiful as are your designs. Will you keep these for your own I wonder. I sure would. A double ruffle really adds another layer of interesting design element! These are so feminine and lovely. They would make fabulous gifts! This set is fabulous, Kim. Brilliantly done. Very nicely done. I was wondering if you have a business site. After reading the comments Kim, I also think you should sale your designs. They are lovely and I sure to buy some. These pillows are really sweet. Nicely done. Kim your pillows are beautiful. They are each one is nicer than the last. I just love them all. When will you start selling your designs? I know you don't at the moment but do you have plans to in the future? Thanks, Carolyn...the square ones are done in the 8x8 hoop and the rectangle is done in the 8x12 hoop...and I don't have a multi-needle machine...just a single needle BabyLock Ellisimo Gold. 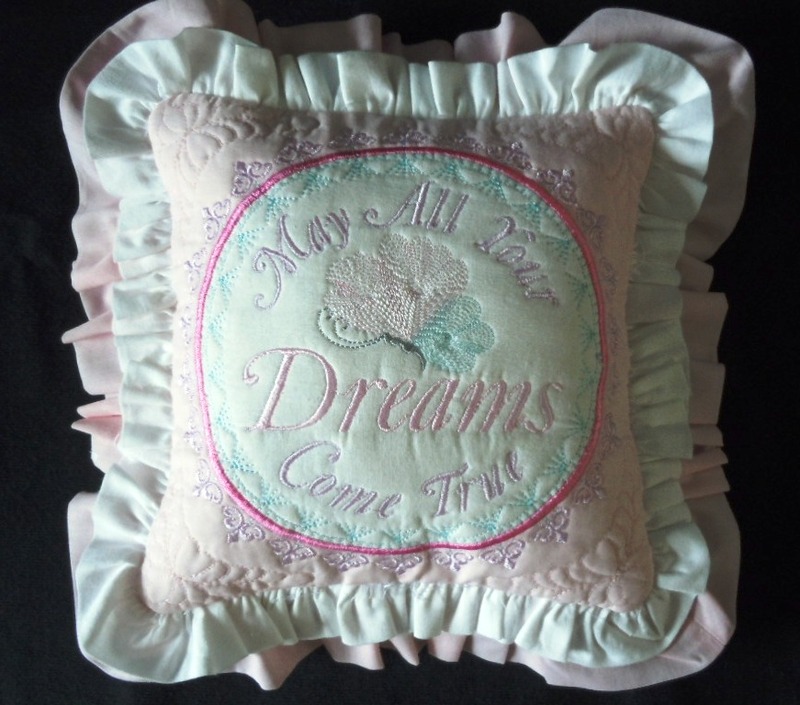 Never tire of looking at new designs, Kim another beautiful pillow, well done, too pretty to be laid on. A lovely collection. Sandra.